... like Ann Arbor, Madison, Chapel Hill, Cambridge, Berkeley, Boulder, etc. Most cities lack the pedestrian density to support exclusively pedestrian malls. College towns such as Boulder (pictured at right), Burlington, Vermont, and Charlottesville are exceptions, because of how town centers leverage the adjacent university campuses. Last night I was talking with a colleague in preparation for the follow up piece on Prince George's County embarking on a zoning rewrite, and we were talking about what I call the "NIH effect," in Montgomery County, where people with high levels of education and relatively high incomes cluster around NIH because they work there, and how this impacts the schools and other civic institutions in the area. It might not be as pronounced as it once was, but for me there was signature impact, because I remember being astounded back in 1979 as a sophomore in college mingling with so many kids from Montgomery County--typically they went to high schools like Whitman--how smart they were and how most had NIH lineage. Anti-college town policies in "College" Park. We discussed how virtually every decision that the City of College Park and its Council makes is designed to make it impossible for a traditional college town to develop there, why the "commercial district" around the campus is pretty much pathetic, etc. 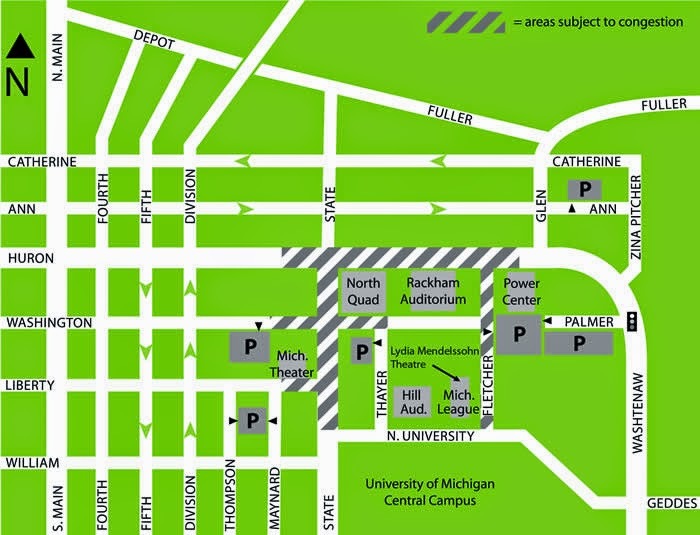 While there is a dense cluster of university buildings at Ann Arbor's core-central campus, it is surrounded on three sides by neighborhoods and two campus-related commercial districts, and the city's old "downtown" is just a few blocks west. Highly educated and paid UMD staff and faculty have few reasons to live in the city. Because there isn't much of a center outside the campus, faculty and staff have no compelling reason to live in College Park, especially because PG's schools lag those of certain other jurisdictions. No network effect. By not having much "there there," the City of College Park and Prince George's County lose a wide variety of potentially beneficial impacts, especially for the schools. The kind of "network effect" doesn't exist around the University of Maryland in the same way that such benefits are derived from NIH or the impact of children of faculty attending local public schools in cities like Ann Arbor, Michigan (etc. ), the participation of faculty and staff in local civic affairs in a concentrated fashion, a concentrated grouping of high income consumers able to support local retail, etc. Note that a big part of the economic impact in Ann Arbor is the University of Michigan Hospital, which is the largest employer in the city. By contrast, the University of Maryland Medical School is in Baltimore. Plus, Washtenaw County offers fewer options for high quality living, unlike how DC and Montgomery County are so close to College Park (my neighborhood is 4.25 miles from the campus by bike). So Ann Arbor has less competition for residents than College Park. The attractiveness of college town living to alumni. Another factor in college town success is the desire of students to remain living in cities like Ann Arbor, Berkeley, Cambridge, and Madison after graduation, which helps to drive development of the commercial sector and small business development. Both Baltimore and Philadelphia have well-developed programs designed to keep students in the city after graduation. Such a recruitment program would be tough for College Park to pull off, the way it is now. College towns aren't perfect. Sure the fact that it's a college town has shaped the retail in ways that favor students and may be less attractive to non-students, but the core of the commercial areas around the central campus are distinctly better than anything in College Park. And there are some negatives that can arise from the economic value of neighborhoods serving as high rent "student ghettoes," and the lack of social and economic diversity that results. Part of the problem comes from when the universities experienced their primary periods of growth. Note that "the density" and spatial organization issue mentioned in the previous post is a related issue, and in part it has to do with when the university and the neighborhoods around it developed. Ann Arbor's core neighborhoods developed during the era of the walking and transit city, so they are denser, set up in a traditional block and grid fashion, and are eminently walkable and served by some neighborhood commercial districts. A big difference between most of the older universities mentioned above and UMD College Park is that Maryland is more a distinct campus that is cloistered, apart and separate from the city. That's because it grew fastest in the 1950s, when the automobile dominated city planning. Current conditions in "Downtown" College Park are anti-pedestrian. See the Washington Post piece, "Maryland to lower speed limit, expand speed cameras on troubled stretch of Route 1." By contrast the University of Michigan's central campus is much more compact and is enveloped by the city around it. But the fact that the North Campus developed during the 1950s and 1960s and is typical of universities developed in that period is instructive. North Campus too is disconnected from the community and cloistered. As a result, students don't spend much time there and don't like living there. Note that as Johns Hopkins University in Baltimore leaks out from its campus into Charles Village, that has provided a new source of revitalization energy to that neighborhood. The university has also significantly expanded its community connection and outreach effort. 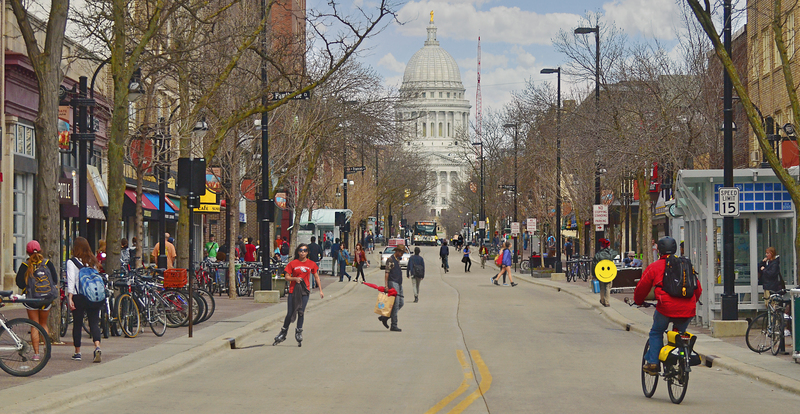 State Street in Madison, Wisconsin connects the campus and the State Capitol and is now closed to motor vehicle traffic. Flickr photo by Richard Hurd. The spatial organization of Madison and Berkeley are somewhat different in that the campuses are large and somewhat apart, but in both cases, the towns connect to the campus at particular edges in a manner that still knits the campus and town together in a manner that is mutually beneficial. Conclusion. 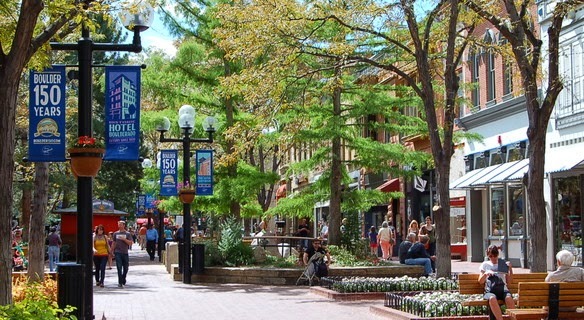 It's probably too late, but making over College Park into a "true college town," using examples like Ann Arbor, Boulder, Chapel Hill and others would enable the city, county, and university to better reap a variety of positive development, community, social, and educational outcomes. Madison, Ann Arbor, Boulder, and Chapel Hill are the wrong kind of cases to compare College Park against. They are all distinct cities where the major university dominates. College Park is (and always will be) subordinate to DC in the grand scheme of things. I think the better comparisons are the places like Cambridge, MA; Berkeley, CA; Palo Alto, CA; Tempe, AZ; as places where a major university has a large influence over a smaller jurisdiction right in the heart of a large metropolitan area. There are other examples of big universities on the outskirts of a major city, but within the city limits - like the University of Washington in Seattle (probably a bit more urban than College Park's context). as always, very good counter/points. Thanks. I'd argue that you could consider Ann Arbor and Boulder more similarly to College Park but it is a stretch, true. They are "major cities" sure, but still part of a major metropolitan area, like College Park is to DC, BUT they are much farther away from the core. And Madison is a bit of a stretch, even though I used it, because it is also the state capital, which adds another element. (Although Lansing, state capital, to East Lansing, MSU, doesn't work in the same way. Campus town in East Lansing isn't all that, and neither is Lansing.) It's one of a small set of state capitals that is a nice place (along with Boise, Salt Lake City) unlike other state capitals which languish economically (Albany, Sacramento, etc.). But I don't think it would have been impossible for College Park to be a decently sized place with real place qualities not unlike say Birmingham Michigan which would be a great college town, but lacks a college to be such. It could have been an edge city in the metropolitan area, not unlike the Rockville-North Bethesda conurbation, especially with a big university as the primary anchor. Anyway, I do think it would have been possible, not necessarily out of the question, although maybe it being a land grant college makes a difference too. Those universities didn't get really really big, generally, until the 1950s. I've never been to Palo Alto. I was wondering about it as I was writing, especially in terms of people wanting to stay in the area after they graduate. Your mentioning of U Washington is good too. I haven't really been on the campus, only on University Avenue, which is 1000x better than College Park and Rte. 1. The UW college bookstore is on U Ave., there are some boutique theaters, etc., but there is also decent retail and other subdistricts in the area as well. But I haven't been there for awhile. You didn't mention U Minnesota, which you know well and I do not. DK if there is analogical bits that are relevant. Both UMN and Udub (as they call it) have relevance to College Park because they have/are getting light rail. Obviously, CP has Metrorail, but it isn't located in a place that has a lot of TOD spurring value for the town proper. I wouldn't write off College Park so quickly. It's come a long way since the 1980s when dorms sat underused. Nearly half of undergrads live on campus, and when you add in the massive influx of student housing built just off-campus in the past 10 years, it's probably a slim majority who actually live in the neighborhood. 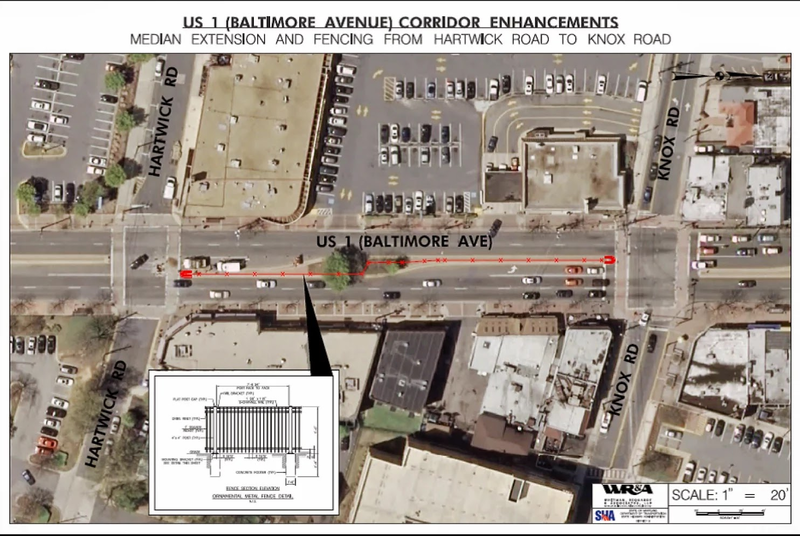 While the city and Maryland SHA have been slow to accept that Route 1 should be a main street, not just a commuter highway, most of these new buildings come up to the street and all have ground-floor retail. That's helping to generate more pedestrian traffic than there ever was when I graduated from UMD (and that was only in 2009!). I don't know if College Park can become a major urban center like Bethesda-that time may have passed. But things are generally heading in the right direction. UMD and the city have started a charter school with the explicit goal of drawing faculty and staff to live there, which if successful could help reposition that area. well another indicator is the change in position of the university wrt light rail. As you know, the previous chancellor was not supportive. with the new chancellor, a within-campus alignment was selected. Ironically, that could allow for a change in land use really really long term, on the adelphi side of the campus rather than college park. ... but it was only while writing the piece that I added the point about the value of concentrated capacity of faculty and staff in civic matters, a la in Ann Arbor, etc. a charter school is a start but the university waxes and wanes wrt the level of involvement in community revitalization. Over the past few years, JHU has done some really interesting things, although it's probably easier for them since they are private. Id say UMD needs to do more. To its credit, note something I've always found interesting is that no DC university is a member of the Consortium of Metropolitan and Urban Universities and UMD-CP is. Same could be said for Fairfax City and GMU. All the same issues, but exaggerated even more compared to CP/UMD. 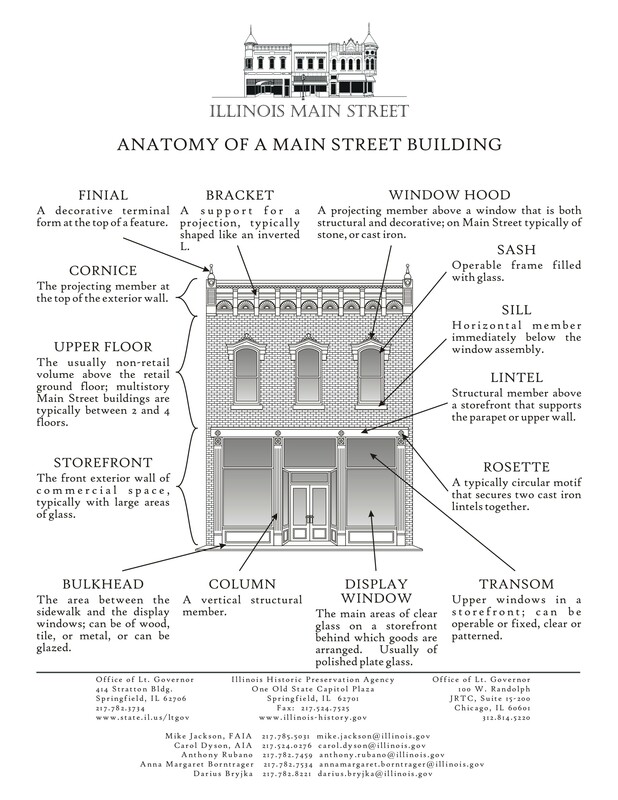 How about Evanston as a counter example? It's more of an inner suburb like College Park, as opposed to an independent city (Madison, Boulder) or core urban neighborhood (U-Wash, Cambridge). I've never been to Evanston so I don't know how good it is, but I'm aware of it so it must be something. you won't be surprised that when I went to college, I got interested in how universities were organized... so it turns out that the relationship of Fairfax City to GMU is pretty typical of colleges that grew up in the 1950s and 1960s. They were mostly developed on greenfields at some distance from nearby towns. And with distance and disconnection comes a failure to achieve connection and leverage improvement for localities. Even SUNY Albany, by moving Albany College mostly out to the suburbs, scotched the opportunity for the university to contribute revitalization energy to the city. I haven't been to Chestertown or Shepherdstown, but my understanding is that the colleges there make a big difference in terms of the success of the town. Interestingly by comparison, GMU and UMDCP don't have even a similar level on impact on the quality and quantity of "the town". It has been a few decades since I've been to Evanston so I don't remember much. That's definitely worth checking out as an example. In any case, your examples demonstrate that it's worth producing a typology of town-place types for figuring this question out. Historic College Park (not to be confused with the Hollywood section of CP) and parts south of Greenbelt Rd/University Ave are a little UMD adverse. I remember when looking for post-grad housing near the downtown area hearing of a small apartment building that was proud of keeping the students out. It also doesn't help that the rents for a certain commercial building I can think of is crazy high. Yes, it would be better to compare CP to Cambridge, MA. But nearby Boston seems to make a real effort to keep graduates of Harvard and MIT in the area. DC, not so much, we assume you'll stick around until you don't. Richard, as always I enjoy your writing and find your analysis to be very rigorous. WRT your above comments on East Lansing/Michigan State (my alma mater), it is difficult to compare the city with Ann Arbor/U of M because the campus designs are intrinsically ordered around different purposes. Until the 1950s, MSU was an agricultural school, and the sprawling park-like campus reflects that. Most of the student housing built during the boom years of the 50s was built on the edge of campus in corn fields, located at least a mile or two from the main commercial district on Grand River Ave. U of M, on the other hand, is much more integrated into the city, more similar to George Washington University, or even Washington University in St. Louis. Ann Arbor was a well established city long before East Lansing was. I haven't spent much time in East Lansing since I graduated in 2005, but it is a much more liveable and enjoyable city than College Park, despite its obvious lack of retail compared to Ann Arbor. From what I read, though, it is improving all the time. In fact, if you enjoy riding bicycles, there is probably no better college to attend than MSU. good points. Definitely those schools that experienced major growth in the 1950s tended to develop in a more "sprawled" form, like UM's North Campus. In any case, it's been many years since I've been to East Lansing and the MSU campus.